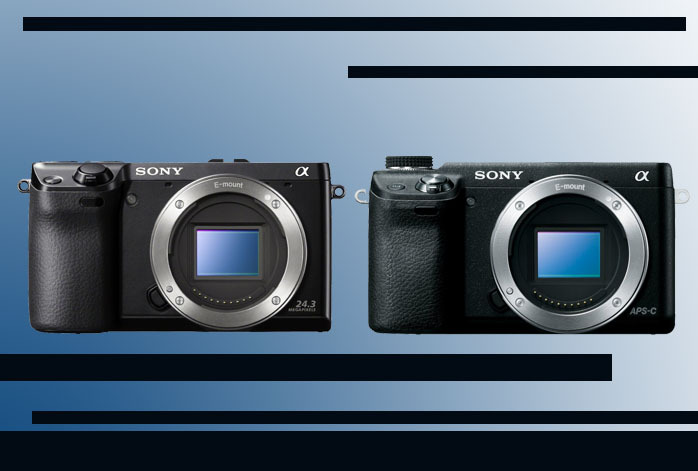 On the article below, you can find the comparisons between Sony NEX-6 and Sony NEX-7. Both mirrorless digital cameras are quite popular on the market, and they share a lot of similarities between them. Even so, they are not so identical – there are quite some distinctions as well that set the two on different sides of the river. Also important to remember, Sony NEX-7 is a little bit more expensive than Sony NEX-6. Does it mean Sony NEX-7 is better? Or, does Sony NEX-6 actually hold the better value? By the way, we also have ever compared Sony NEX-7 to Sony Alpha a6000, so make sure to check it out, too! – The design. Seriously, put the two next to each other and you will find a huge difficulty in determining which one is which. They have similar overall sizes and layouts. – Sony NEX-6 and Sony NEX-7 have articulating screens of the same resolution, 921k dots. You can have no problem shooting from tight spots and difficult angles with either model, and they give you pretty much the same image preview. – Both models are given built-in flash feature. They also have external flash shoes. They have similarly decent flash performance. – Both have electronic viewfinders to provide you a better framing and control. – Both support AE bracketing, a useful feature for focusing objects on a certain distance range. – Both are great for capturing images of fast-moving objects, as they both have a whopping continuous shooting speed of 10fps! – It has built-in Wi-Fi connectivity. Somehow strangely, Sony NEX-7 does not have built-in Wi-Fi, which is a major drawback. The feature is just so useful for easy file sharing across devices. – It has a wider ISO range with a maximum of 25600. Sony NEX-7’s maximum ISO is only 16000. – It has 99 focus points, while Sony NEX-7 only has 25 focus points. With more focus points, you will be able to focus on more objects, making it more powerful for capturing certain details. – It is armed by a stronger image sensor. It has a 24.3MP APS-C CMOS sensor, as opposed to Sony NEX-6’s 16MP. – It has a bigger JPEG buffer capacity, 18 shots, than Sony NEX-6 (12 shots). So, you can capture more photos before needing to take a break. – It has a microphone port. – It has better color depth and dynamic range, though the difference is somewhat marginal. – Its battery life is slightly longer. Sony NEX-7 brings some upgrades, but has some compromises as well. Even though its output resolution is better, the reduced number of focus points can be a concern. The lack of wireless connectivity is also an unfortunate thing. Therefore, for the fullest value for your money, choose Sony NEX-6!